Sometimes the difference between a great valentine and an outstanding valentine is just the packaging. 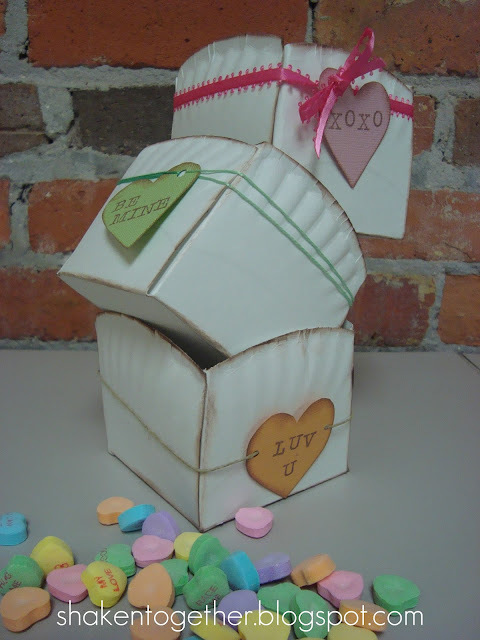 And when the packaging is as cute an inexpensive as these paper plate valentine boxes they you have to go with outstanding. They are great for Valentine's Day, but they would be fun for any holiday and even a picnic. Heck, fill them up with Valentine's popcorn. You can get the tutorial for these paper plate boxes over at Shaken Together.